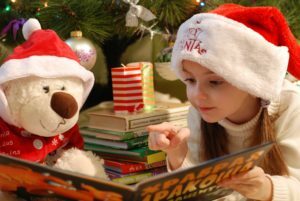 Get into the Spirit of Christmas Without Spending a Dime - Elfster Blog Christmas is the season of giving, but it doesn’t have to be the season of spending. 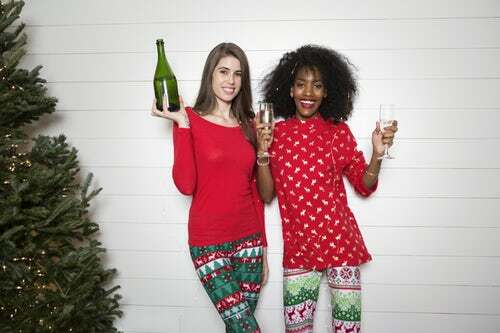 If you’re ready to jump into the spirit of Christmas but don’t want to break your bank, try these fun ideas from Lauren Goldberg, founder and principal planner of New York-based Electric Celebrations. Dressing up instantly changes your mood and makes a regular trip out feel like a special occasion. Whether it’s your family shindig or brunch with friends, put on that dress that always sits at the back of your closet and give yourself a holiday-inspired manicure. If you’re staying in, break out the nice China and specialty glassware, even if no one’s coming over. … or dress way down. Play hooky and stay in your PJs all day long (bonus points if they’re sporting a seasonal design). Giving some much-needed time to yourself will feel like the ultimate holiday treat. Dim the lights and light candles and Christmas lights to set the mood. Cue up seasonal movies, Christmas episodes of your favorite shows, themed music, and settle in. Gather family and close friends together for a cookie swap or potluck, and tell each guest to bring the dish for which they’re best known. Pull out old family photo albums or home movies and relive some of your most fun times together. Family psychologist Julia Simens agrees one of the quickest ways to get into the glow of Christmas is by looking at old holiday photos together. She suggests, if you’re having friends or family over, invite each person to bring their favorite holiday photos to share. If your family is far-flung, work together online to create a digital family holiday album. 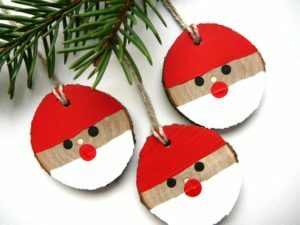 You can use any craft materials you have on hand to make something festive. Try creating DIY advent calendars that feature wonderful memories from past Christmases or fun events from the past year. Cut snowflakes out of paper or make paper or popcorn garlands to hang on your tree—or even a houseplant that’s in need of a holiday makeover. Bundle up and take a walk—through your neighborhood or wherever in town Christmas lights are at their sparkly best. Smelling the cold, crisp air and seeing lit trees glowing in neighborhood windows will put you in the Christmas spirit in no time. Stop by your local Christmas tree lot to soak up the wonderful aroma of pine. Some locations even offer free hot apple cider or cocoa! If you can’t make it to a tree farm, try swapping out your usual hand soap or candles for a scent of the season. Holiday herbs and spices are an easy and effective way to keep Christmas vibes alive using what’s already in your pantry or fridge. Add warm ground spices like cinnamon, ginger, nutmeg, or cloves to your morning coffee or oatmeal for a holiday twist. For dinner, try seasoning your meats or vegetables with classic holiday herbs like sage or rosemary. The aromas and flavors of the holidays will send you right back to fond childhood Christmases. Growing up, my mother was very strict about bedtime. Holiday season was the only time she would bend the rules, and it felt like such a special treat that it became a hallmark of the holidays for me. Whether it’s letting your children stay up an hour later, letting yourself binge on one more episode than usual, or swapping out your morning smoothie for indulgent pancakes, break your own rules and feel that unabashed holiday cheer. Volunteer your time at a soup kitchen or non-profit organization to both bask in—and share with others—the true meaning of the holidays. If you’re not able to volunteer, try something as simple as calling your loved ones just to talk or giving your holiday greetings to neighbors in person. In today’s world, where we spend more time with our phones than our friends, a hug from a neighbor can feel quite special and fill your holiday with joy. No matter how early or late in the season you get started, Lauren’s tips are sure to get you into the true spirit of Christmas—without spending a cent. Best of all, you’re sure to lift the spirits of friends, family, and neighbors as you go. If you’re seeking gift swap ideas, check out Elfster’s useful gift guides or simply start a gift exchange today. For year-round gifting inspiration, follow us on Facebook, Instagram @Elfster or Twitter @Elfster.